ALMOST WORTH GETTING MARRIED AGAIN. 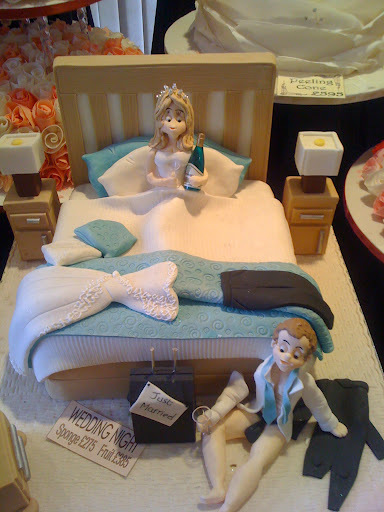 The dress is made of icing! My daughter gave us a voucher for afternoon tea at Slatterys, a renowned local patisserie and choclolatier for Christmas, but it has taken us till now to take advantage of the offer. The Lancashire tea was nice, but more about that in the Great afternoon tea research study. 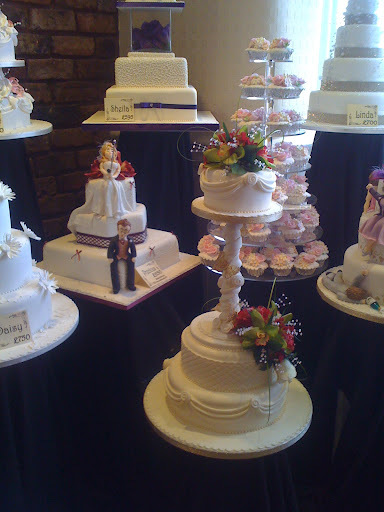 After the tea I wandered around the shop and took thee pictures of their amazing wedding cakes. 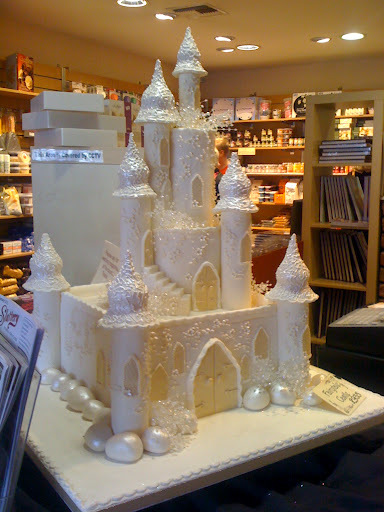 The wedding dress in the window above is made of icing! It is beautiful. 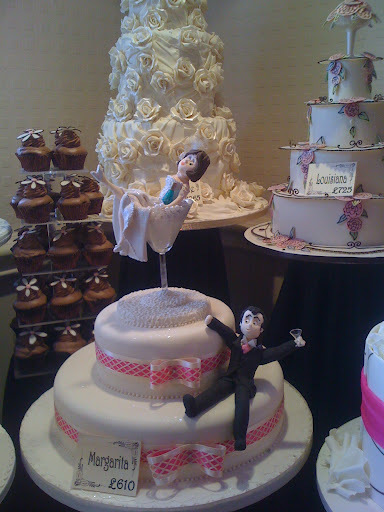 Almost worth getting married again! Except three times is enough! Previous post ← SKYRIDE! ….GOSKYRIDE! Oh my goodness! 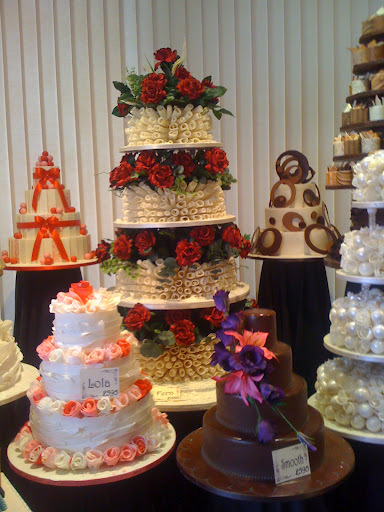 Those are some amazing cakes. I scrolled through your photos a couple of times and can't even begin to imagine how a couple would be able to choose only one. 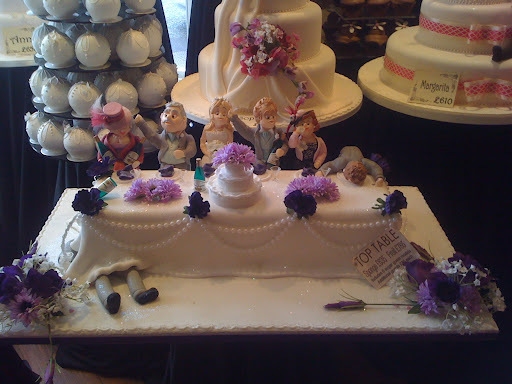 Come to think of it, do you have groom's cakes in England? We do in the States. Stephane's was a humorous one with a figure of a guy skiing from Switzerland to America. It has been a long time since I thought about that. Thanks for the memories! Another shop that I would like! 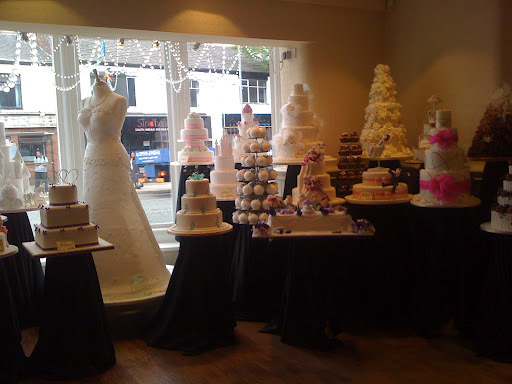 Love those cakes and that icing wedding dress is something else! What a fun place to visit! Wow! 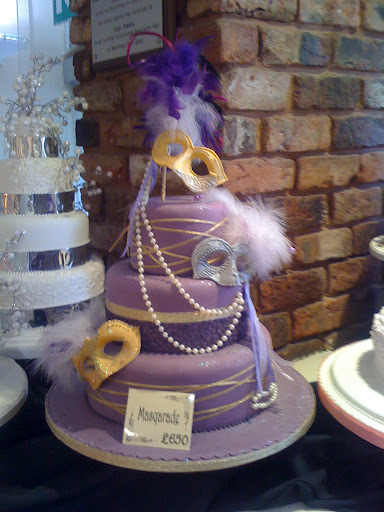 What great cakes! Love the fun ones like the Margarita. What was the afternoon tea like? Welcome back Janet. I look forward to hearing all about your trip. The afternoon tea was comparable. We enjoyed but it was a little different. I will do a blog post about all our research soon, but we need to do a little bit more research first before our report can be be published!